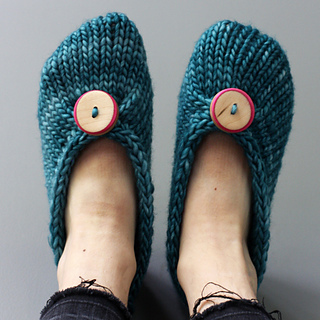 The unstretched finished foot length of these slippers is 6½ (7¼, 7¾, 8¼ )”/ 16.5 (18.5, 19.5, 21)cm. XS, S, M, and L sizes stretch to fit women’s US shoe sizes 4-5, 6-7, 8-9, 10-11. 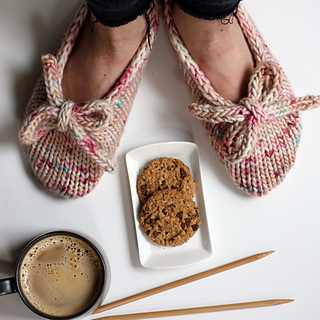 There’s pretty much nothing that I enjoy more than a super-quick gift knit, except maybe putting on a pair of comfy, cozy wool slippers. 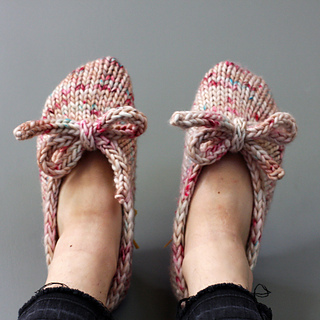 This pattern includes instructions for a cute and feminine bowed version and a retro-classic pompom version. 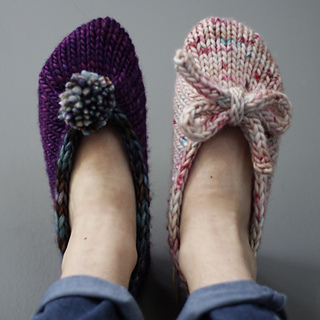 The unstretched finished foot length of these slippers is 6½ (7¼, 7¾, 8¼ )”/ 16.5 (18.5, 19.5, 21)cm. XS, S, M, and L sizes stretch to fit women’s US shoe sizes 4-5, 6-7, 8-9, 10-11. 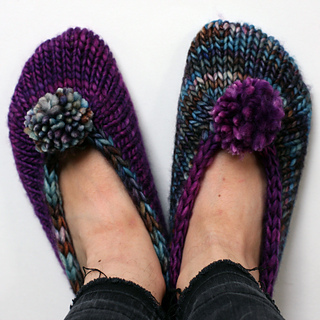 Shown in Size S.
The slipper begins by using Judy’s Magic Cast On to create a round of stitches that run perpendicularly down the sole of the foot. 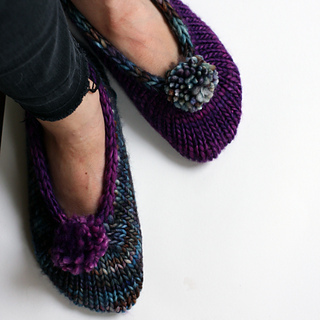 Increases are introduced for shaping around the foot. 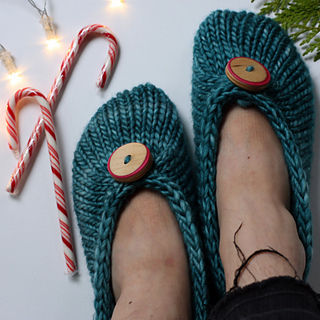 A cable decrease removes stitches for shaping at the ankle, which is finished with i-cord and the embellishment of your choice. Judy’s Magic Cast On might seem a little intimidating if you haven’t tried it before. 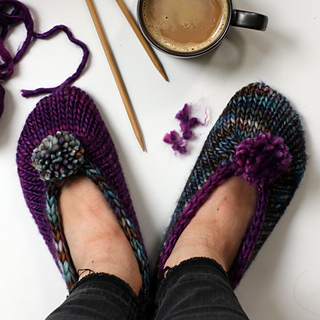 However, learning this technique can open a world of possibilities in your knitting, particularly for toe up socks. If it’s new to you, please look online as there is a wealth of videos and tutorials online that helpfully explain the process. Double pointed needles or circular suitable for magic loop in US 10 (6mm) or size necessary to obtain gauge; same diameter circular needle 32”/ 80cm or longer for casting on with Judy’s Magic Cast On; set of US 9 (5.5mm) double pointed needles; 1 stitch marker; tapestry needle. 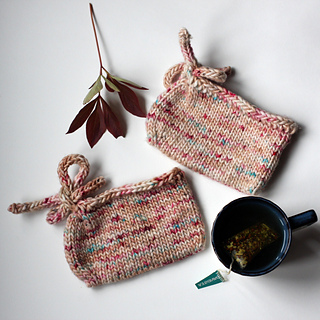 For pompom version: extra small pompom maker. 3.5 oz/ 100g. Sample shown in Festive. in Juneberry and Continental Divide. 14 sts/22 rows over 4”/10cm in stockinette in the rnd.